To enable the peer instruction tool in Studio, you add the "ubcpi" key to the Advanced Module List on the Advanced Settings page. Be sure to include quotation marks around the key value. For more information, see Enabling Additional Exercises and Tools. Specify which of the answer choices is the correct answer. Alternatively, you can choose to not specify a correct answer by selecting “n/a”. You identify the correct answer choice by its assigned number: to indicate Answer 1 you select Option 1, for Answer 2 you select Option 2, and so on. Enter a text explanation that describes why the specified answer choice is correct. This is optional if you have chosen to not specify a correct answer. If Save is not available, an edit check has detected incomplete or invalid information in the component editor. 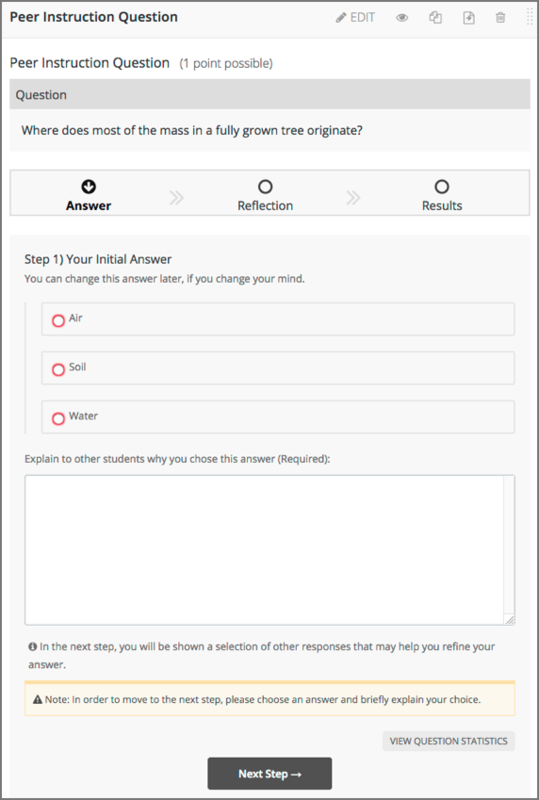 Review your entries to make sure that each field has an entry (as appropriate), and that you have provided an example explanation for each answer choice. For information about the error found, move your cursor over the question mark that appears next to Save. 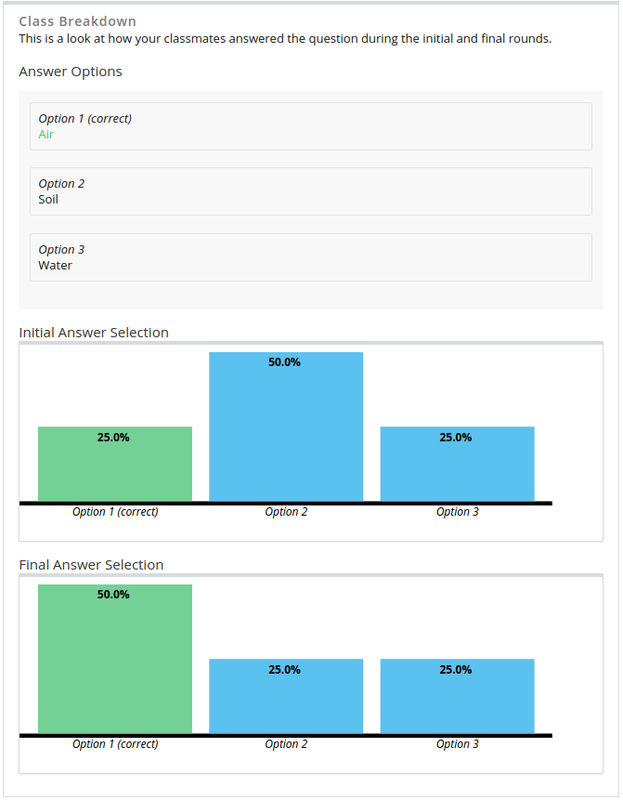 When learners submit their final answer choices and revised explanations, the peer instruction tool displays the correct answer, if you have specified one, and its explanation (if applicable). The learner’s initial answer and response, and final answer and response, follow.